Commissioned by RHS Wisley for their half term Bugs and Slugs event in May 2017 this show is packed with facts about mini-beasts, which will get everybody talking creepy crawlies! 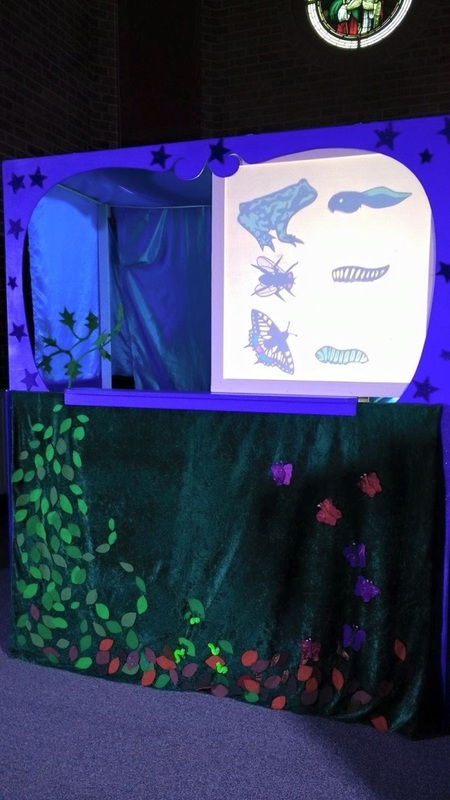 Aimed at children in Early Years, Foundation and Key Stage 1 this show contains our trademark reimagining of a popular fairy tale with story-telling, hand, rod, glove and shadow puppets and adds in lots of fabulous facts for topic work on literacy, puppetry/toys and, of course, Bugs and Slugs. Set up time: 1 hour. Performance area required 3m x 3m. Cinderella's cruel step sister orders her to make the garden beautiful to win a Royal gardening competition and bag tickets to the ball. In the garden Ella makes friends with the bugs and slugs and learns about the ecosystem and the jobs the different mini beasts do to make the garden beautiful - decompostors, pollinators and preditors, along with some very interesting bug facts. The audience are invited to be garden inspectors and Ella wins the conpetition, but how will she get to the ball? 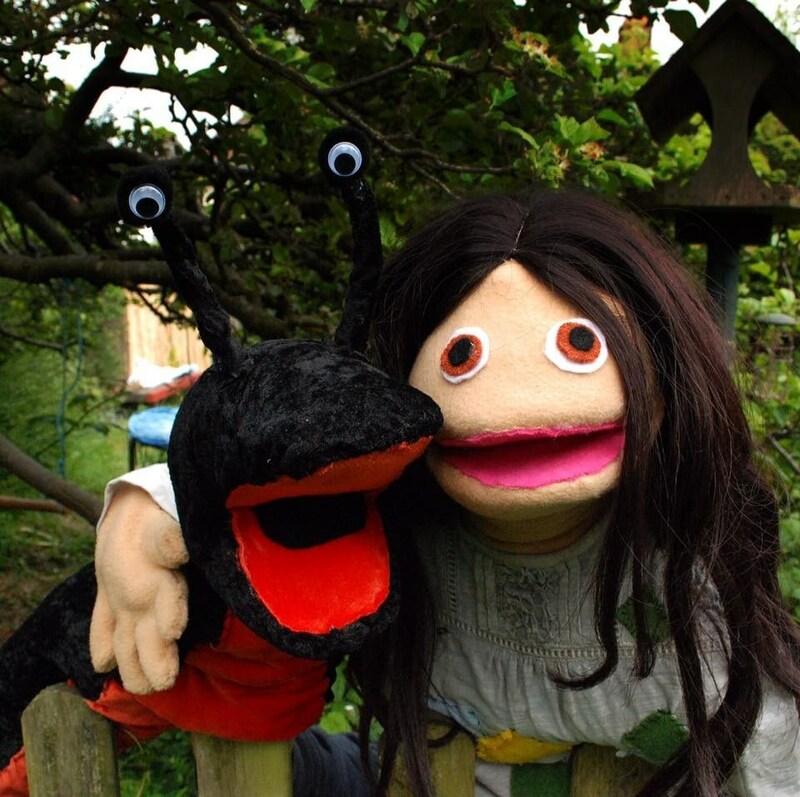 Gary the slug has plenty of ideas about how Ella can go through some metamorphosis, just like her creepy crawlie friends. She manages to intregue the prince, dance all night AND impress him with her knowledge of invertibrate biology. 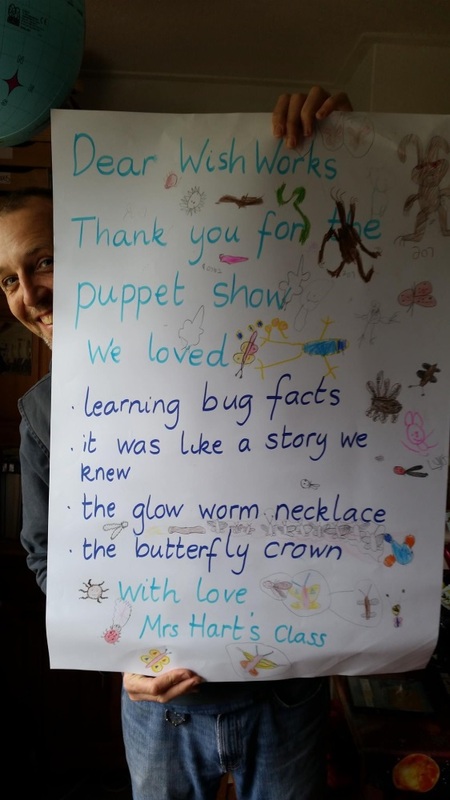 For all the budding entomologists who like a happy ever after.